​Now updated to add the BCM PKMR. Drop-in plastic handguards don't get as much hype as free-floating aluminum handguards, but they are often a better match for the needs of the average shooter. 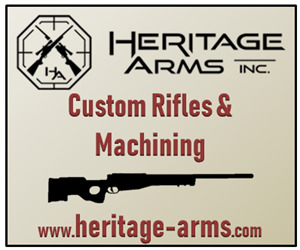 Free-floating handguards allow the rifle to be more accurate, it's true, but you can reliably hit a head-and-shoulders target at 400 yards with a 4 MOA gun, which is well within the capabilities of any properly-assembled AR firing decent ammunition. Additionally, drop-in plastic handguards are typically a fraction of the cost, lighter, more comfortable, and stay much cooler than aluminum free-floating handguards. There are many drop-in handguards on the market, but most of them are only available in carbine length. Tapco, Slide Fire/AB Arms, Strike Industries, IMI Defense, CAA, MFT, Promag, the Mako Group, and probably a few more manufacturers we're forgetting all make carbine-length handguards we'd be interested in trying out, but as civilians beholden to the legal convenience of the 16" barrel, we have little use for carbine gas systems (see Midlength vs. Carbine). The pickings for mid-length drop-in handguards are pretty slim; to ourknowledge it's just the three handguards we had hands-on time with here, and then the BCM PKMR, which was not yet available at the time of this article's posting. Edit: With production now in full swing, BCM supplied us with a PKMR for testing and that handguard has now been added to this article. ​Note: Magpul's handguards are confusingly named, an unusual oversight by the branding-savvy king of AR-15 accessories. Their two handguards official names are "MOE M-LOK handguard" and "MOE SL handguard", despite the fact that both use M-LOK slots. To simplify, we will just call them the "MOE" and "SL" handguards. To kick us off, see the stats and specs on the handguard in the below table, which is organized by price. Read on after that for a more in-depth analysis of each handguard's strengths and weaknesses. Note: The barrel nut, delta ring assembly, and handguard cap together weigh 2.8 oz, so the total weight of the assembled handguard is the weight shown below, plus 2.8 oz. This Aero Precision Quantum handguard has 6.8" grip circumference and an octagonal grip shape. *For comparison, a generic aluminum free-float rail with a 2.0" diameter has a grip circumference of around 7.0". Quad rails are around 7.75" or higher, and super-slim free-float rails tend to sit a bit above 6.0". The above chart shows that just like aluminum free-float tubes, some drop-in plastic handguards are much slimmer than others, with the slimmest models of both types bottoming out around a 6.0" circumference. That said, aluminum free float tubes are generally limited to two grip shapes: round or octagonal. In contrast, drop-in plastic handguards are cast in a mold, not machined from aluminum tubing, meaning their grip profile can be any shape the designer wants. What's more, not a single commercial drop-in handguard chose a round or octagonal grip profile. 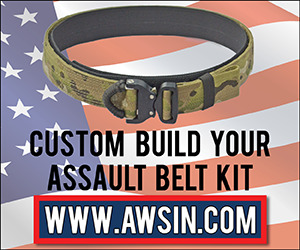 ​The obvious exception to this is the factory plastic AR-15 handguards, which are round, but this is again a manufacturing and a cost-saving measure (the round top and bottom halves are interchangeable) over the Vietnam-era triangular handguard that influenced the grip profiles of the Magpul MOE and BCM PKMR. ​Now to talk about each handguard; what's good, and what's bad, starting with our lightest and cheapest entry. Shown here on a Fightlite SCR hunting-style lower receiver. The (good) bottom line: The B5 handguard is the lightest and slimmest handguard by a healthy margin - it's almost 40% lighter than the Magpul handguards. While the difference is mere ounces, "ounces make pounds", especially when they're way out at the front of the gun. Any idiot can build a "tactical" rifle with lots of heavy aluminum rails, but choosing the lightest possible components (like the B5 Keymod) to take off ounces here and there is a good recipe for a light, tight fighting rifle. 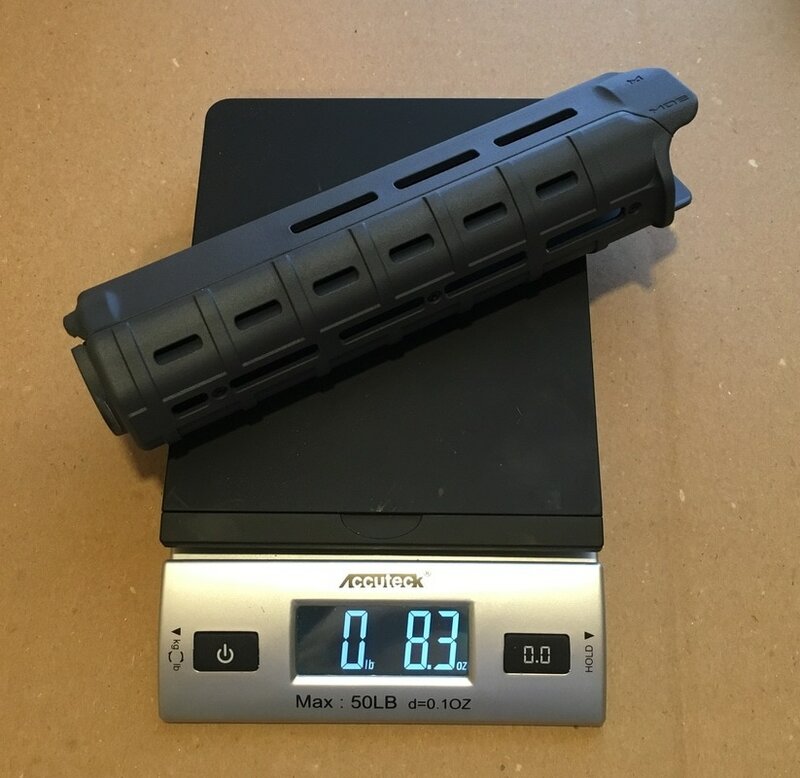 If you go down to carbine length, the whole B5 Keymod handguard assembly (complete with barrel nut and hardware) weighs in around 7 oz , which is borderline psychotically light. Even carbon fiber free float tubes usually weigh more than that, some quite a bit more, and while carbon fiber tubes allow the accuracy of a free-floating barrel, they also cost 3x, 4x, even 5x as much as the B5 Keymod. If you want to cut weight and don't need a free-floating barrel, the B5 Keymod is the way to go. The B5 handguard also offers hands-down the most control of the weapon via a truly minimalist grip size that allows full overlapping-finger grip of the forearm, letting the shooter muscle the rifle to control recoil. If you prefer a slightly beefier grip, you don't have to take it as-is; simply customize by adding width using keymod covers, rails, and/or rail covers. You can add width equally on all sides because the B5 handguard is the most versatile handguard for accessory placement, offering accessory attachment at the 2, 4, 6, 8, 10, and 12 o'clock positions, versus the Magpul handguards' 2, 6, and 10 o-clock. Legacy Magpul MOE slots on the bottom interface with the aluminum heat shield to allow sturdy mounting of stressed components like vertical grips, while you can still speedily mount unstressed components like lights via the many keymod slots. If you want a serious duty carbine, the B5 handguard may be your pick; it's absurdly lightweight, it lets you mount a light, and it costs quite a bit less than its Magpul competitors. What more do you want? Keymod attachments are fast, and MOE attachments are durable. The (bad) bottom line: The B5 handguard's plastic keymods slots are probably good enough for non-stressed attachments like lights, but they are simply not as durable or secure as a M-LOK slot or the reinforced keymod slots on the PKMR, and the need for two different types of accessory mounts (keymod and MOE) is not ideal. Fit and finish on the B5 handguard is about 5 steps below the Magpul handguards; there are noticeable gaps between the halves when assembled, the heat shield is only partially painted, and the keymod slots have very rough edges. It's not quite the "cheese grater" effect of a Picatinny quad rail, but the slots are noticeably uncomfortable to hold bare-handed under recoil, and the addition of keymod covers to make them more comfortable will eat into the few ounces of weight savings the B5 handguard has over its Magpul and BCM competitors. The heat shield is not fixed to the handguard (it is simply trapped between the barrel and handguard when assembled) and when squeezed hard, the handguard sometimes flexes or shifts position ever so slightly. The B5 handguard does what it needs to do, and does it for cheap. That's laudable, but for a few dollars and a few ounces more, the Magpul and BCM handguards are much more pleasing to both the hand and the eye. The (good) bottom line: Magpul's MOE handguard has a teardrop-shaped cross section that gives a big, comfy grip area for your palm and a narrower, controllable grip for your fingers. This promotes a traditional under-the-barrel grip and is especially supportive of prone shooting, or really any stance where your elbows are providing stability. M-LOK slots at the 2, 6, and 10 o'clock positions mount accessories quickly and sturdily. Build quality and fit are excellent, and numerous small improvements like a ridged grip and small hand stops and finger guards prove the MOE handguard was carefully designed by knowledgeable shooters. The weight is comparable to a standard handguard, it adds substantial versatility and comfort, and the price is right in the middle of the pack. Older versions of this handguard are not M-LOK compatible. Magpul sold/sells rails and other small accessories that can mount into the older handguard's vents, which Magpul calls "MOE" accessories (these will also fit the top and bottom slots of the B5 Keymod handguard). ​This legacy attachment system required the handguard to be removed for install, and those narrower slots have been replaced in the newer version by slightly wider M-LOK slots, which do essentially the same thing, but faster. Top view at right; the top slots are simply vents and do not support any type of accessory attachment. The (bad) bottom line: Magpul's MOE handguard's teardrop shape makes it feel by far the fattest of the three handguards, even though its overall circumference is only .25" more than the SL handguard (which itself is still 20% fatter than the B5 handguard). The SL and B5 Keymod handguards allow you to clamp your hand around the grip from the side and really muscle the rifle to control recoil, whereas the MOE feels more at home providing support from below. And yet, the Magpul SL and B5 Keymod handguards all feel perfectly fine when adopting an under-barrel supporting grip, too. 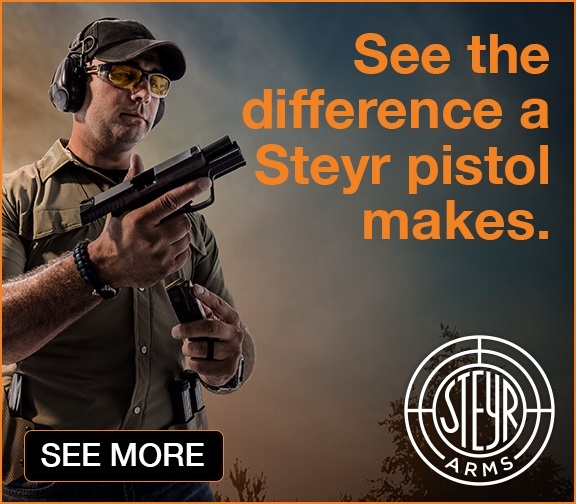 This leaves the MOE in a lurch, as it feels worse at providing the controlled side-clamp grip, but not really any better at the supportive under-barrel grip. It's also the heaviest handguard in the lineup (though only by a hair), and its price is roughly comparable to the SL and noticeably higher than the B5. Perhaps the MOE was the go-to grip a few years ago, but in today's variety-soaked market, there is very little to recommend it, even though there is almost nothing wrong with it. Click the link to see the Magpul SL and BCM PKMR examined in Part 2 of Magpul MOE vs Magpul SL vs B5 Keymod vs BCM PKMR: Drop-in Mid-length Handguard Comparison.